Pure white powder, without any conglomerates and caking, but having crystal clear gloss and particular smell and taste. 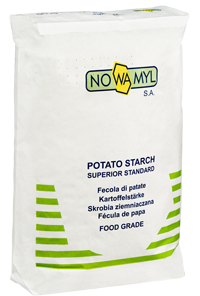 Potato starch is obtained through the wet separation of the grains of starch from the other component parts of shredded potato tubers. Then separated potato starch is cleaned, washed, dried and sifted. 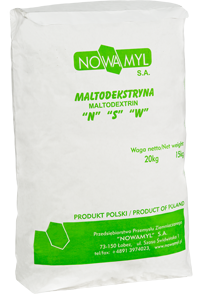 Product of the enzymatic depolymerization of the starch–water suspension in the form of the white, free-flowing powder having good water solubility. Is produced according to the degree of hydrolysis in the following types: low-, middle- and high degree of saccharification.